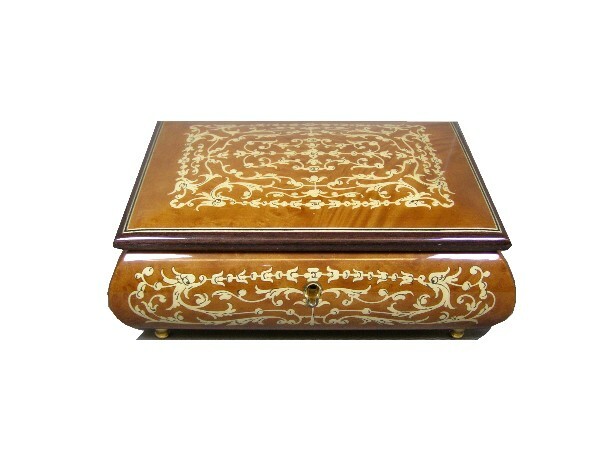 A beautiful jewellery box with Arabesque scroll. 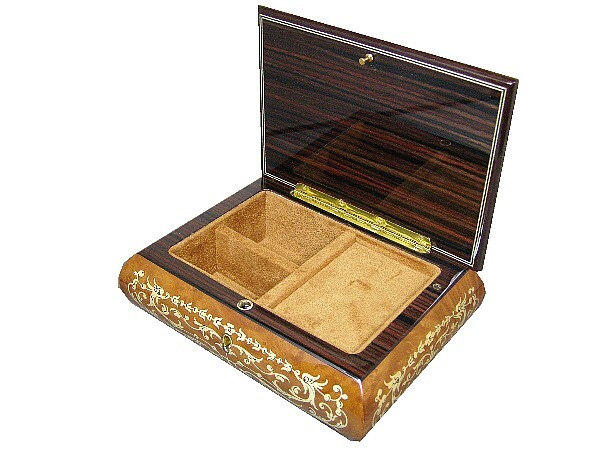 This beautiful jewellery box from The Music Box Shop is fitted with a traditional clock work music box movement. The music box is wound from underneath. 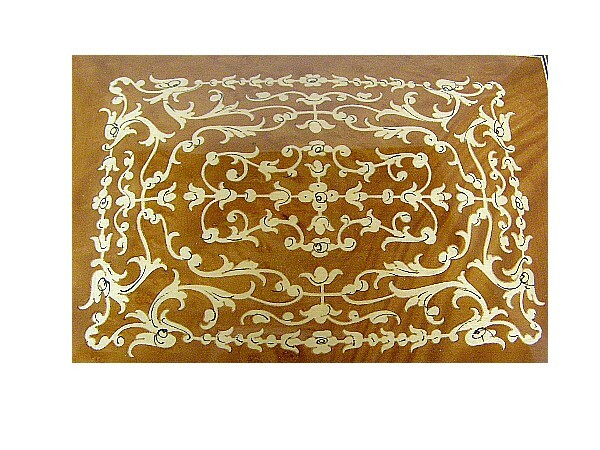 When you lift the lid the music plays, the music box is inlaid with an arabesque design. 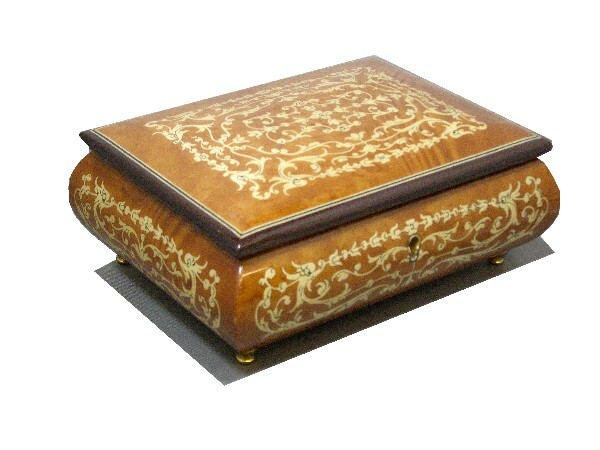 This musical jewellery box is finished in a gloss lacquer with a madrone veneer. You can choose your musical tune from the box below.